Do I file this under boobalicious? So tamoxifen, my buddy drug post surgery for the next five years will shut down the estrogen in my body, turn off my ovaries, and send me into menopause. Alrighty I can deal with that. But a friend and survivor whom I adore because she is just so blessedly calm and practical in all things and breast cancer said to put on my to do list once I have a medical oncologist and to also ask my breast surgeon about this in more detail later: because studies show that after three years of tamoxifen the ovaries and things estrogen are apparently so in retirement and uninterested in running naked through my body that these studies now show switching to aromotese inhibitors might prove to be a way to round out years four and five. I also am curious about other genetic testing in addition to what I mentioned in a previous post about BRCA testing. Aromatase inhibitors stop the production of estrogen in post-menopausal women. Aromatase inhibitors work by blocking the enzyme aromatase, which turns the hormone androgen into small amounts of estrogen in the body. This means that less estrogen is available to stimulate the growth of hormone-receptor-positive breast cancer cells. Aromatase inhibitors can’t stop the ovaries from making estrogen, so aromatase inhibitors only work in post-menopausal women. Each is a pill, usually taken once a day. RICHMOND, Va., May 17 (UPI) — An immunity biomarker may predict a breast cancer patient’s risk of cancer recurrence, Virginia researchers say. Masoud Manjili, assistant professor of microbiology and immunology at Virginia Commonwealth University Massey Cancer Center, and colleagues say the breakthrough may lead to new genetic testing. The study, published in the journal Breast Cancer Research and Treatment, found a specific, five-gene signature related to tumor infiltrating immune cells can accurately predict relapse-free survival. OPINION By LEN LICHTENFELD, M.D. Tuesday’s announcement by the U.S. Food and Drug Administration that it had approved the MammaPrint test represents a step forward in our efforts to more precisely define which women with breast cancer require adjuvant (preventive) chemotherapy following primary treatment for the disease. Adjuvant chemotherapy for breast cancer has been one of the great success stories in cancer treatment over the past 30 years. Through the efforts of many researchers, women and their families, we have learned how to prevent recurrence of breast cancer and increase survival for many women with breast cancer. As a result, we have seen steady declines in the death rates for women with breast cancer. We also know that we provide adjuvant chemotherapy to many women with primary breast cancer who would have otherwise done well without additional treatment. But the types of tests and information about a particular woman’s breast cancer that we have available today are simply too imprecise to allow us to accurately and confidently separate women at high risk of developing recurrent of breast cancer from those who are at low risk of recurrence. If we could do this, we could potentially avoid chemotherapy in the low-risk women, and thus free them from the need to take adjuvant chemotherapy along with its associated costs, inconvenience and side effects. Ok people, love you all madly but that’s enough out of me for one day…I know Rome wasn’t built in a day, yet today I feel like I did some redecorating if that makes any amount of sense…. 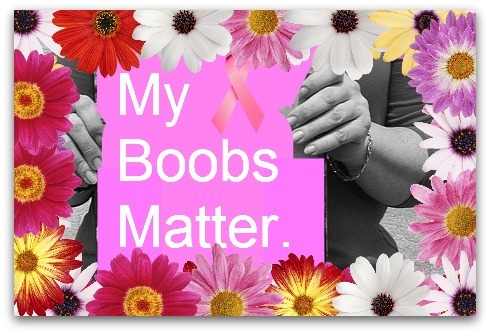 This entry was posted in Uncategorized and tagged BRCA test, breast cancer, breastcancer.org, busy, genetic testing, life, Living Beyond Breast Cancer, MammaPrint. Bookmark the permalink. 2 Responses to more, more, more…. i have too. 6 years in the running. Joanna, I don’t know you but THANK YOU! Your encouragement means the world!